The main focus of United Nations World Wildlife Day on March 3 this year is “the future of elephants is in our hands” with the overall theme being “the future of wildlife is in our hands”. Wildlife Day marks the signature of the Convention on International Trade in Endangered Species of Wild Fauna and Flora (CITES). In India, while poaching for tusks continues to be a large scale phenomenon, it is the man-elephant conflict which has been creating a furore. The pachyderm is accorded with the highest degree of protection in Indian laws under the Schedule-1 of the Wildlife Protection Act. According to Project Elephant, three per cent of India’s land total surface is elephant country and only 10 per cent of this is affected by conflict. However, wild elephants probably kill far more people than tigers, leopards or lions, says the Ministry of Environment, Forests and Climate Change (MoEFCC). According to MoEFCC data, 391 people and 39 elephants died in 2014-15 across India as a result of conflict. This is an improvement from last year when 413 human casualties and 72 elephant deaths were recorded and from 2012-13 that saw 422 humans casualties and 101 elephants deaths. However, Rs 34.52 crore was given as compensation because of elephant ravage in 2014-15 as opposed to Rs 30.29 crore in 2013-2014. This indicates that elephants are increasingly foraging for food outside the “designated” forest areas. Factors like habitat loss and shrinkage and degradation of elephant range can be linked to this increase. India has 27 formally notified elephant reserves extending over about 60,000 sq. There are about 88 elephant corridors, which experts say, are heavily fragmented and only 24 per cent of the corridors are under complete forest cover. 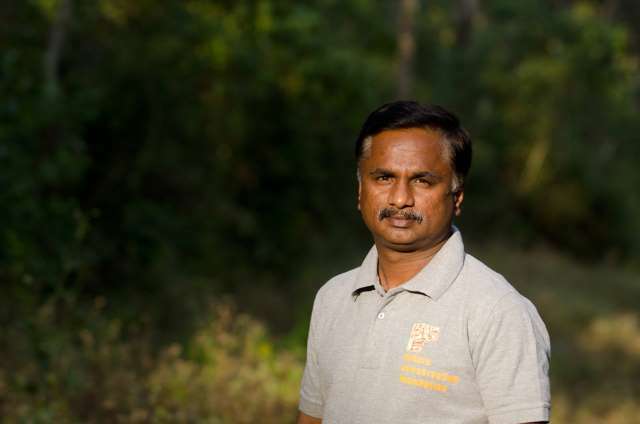 According to says P Aravindan, a wildlife biologist with expertise on elephants based in Coimbatore, a fragmented corridor is as good as no corridor. 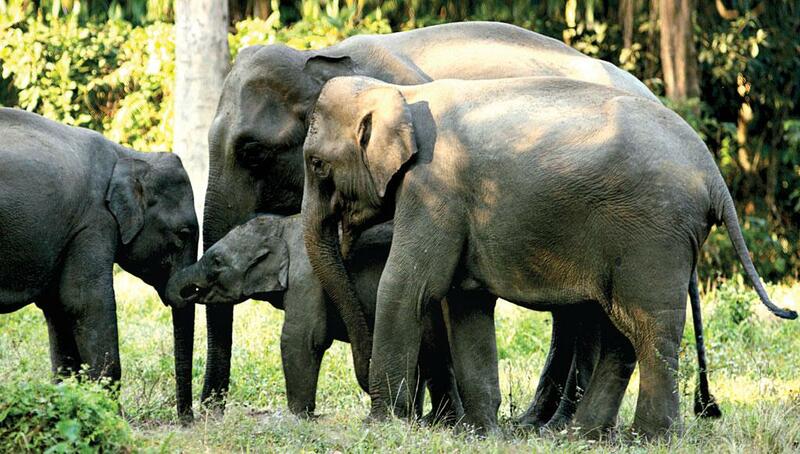 “If we take the Western Ghats, for example, it is amongst the most conducive habitats for elephants. The concentration of Asiatic elephants in one place is the highest in the Western Ghats. However, about 70 per cent of the area falling under designated elephant corridor is one kilometre or less. It is that fragmented. How does the elephant travel, then? This leads to conflict as the human settlements in these corridors are primarily agrarian and elephants are lured to the food crops,” he explains. Furthermore, elephants are highly mobile creatures and a herd needs to travel at least 10 to 20 kilometres a day. “If we think elephants can be restricted to an area of about 100 sq km, we are taking away their basic behaviour. They need tonnes of vegetation as food every day. If we try and constrict them to smaller areas, they are bound to ravage the area in a matter of days. So elephants being on move is healthy not only for them but for entire forest comprising of other species as well,” says SS Bist, emeritus scientist at Wildlife Institute of India and former director of Project Elephant. As per elephant census held in 2007-08, estimated population of elephants in India is between 27,669 and 27,719 individuals. In May 2015, a ministry-commissioned panel to study elephant migration had proposed to inject female elephants with contraceptive vaccine to control their population in the wild. If a viable solution to man-elephant conflict is not reached at the earliest, this — coupled with the lucrative ivory — will serve as the death-knell for the elephants. With increasing human casualties due to conflict with elephants, it has become imperative that there be a warning system alerting the residents on the peripheries of elephant corridors of the elephants’ advent. The first step in the direction has been taken by Nature Conservation Foundation’s scientist M Ananda Kumar. The system is as simple as a text message that alerts the residents if the elephants are near, giving them ample time to take precautionary measures. The man behind reducing casualties due to elephants in Western Ghats speaks to Down To Earth on the warning system and the results thereof. How would you rate the status of elephant protection in the country? 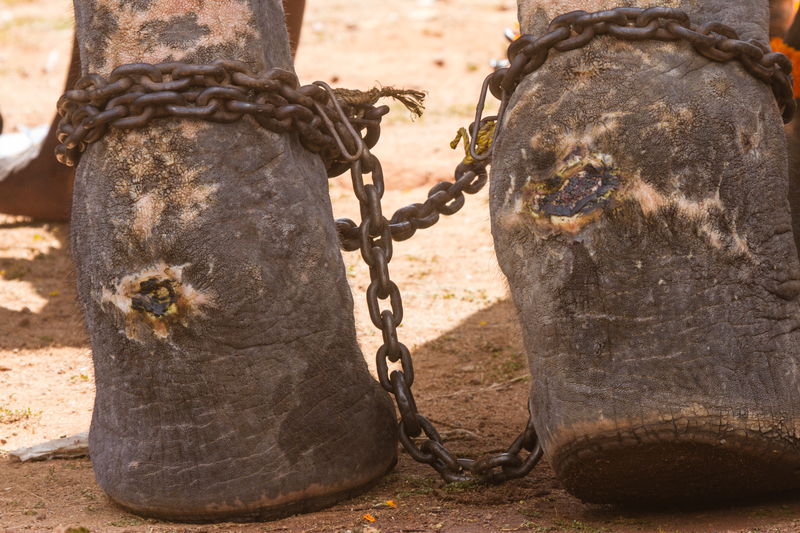 There are two ways to look at the status of elephants in terms of protection in India. Elephants in the Protected Forests are doing well, with adequate protection from respective state forest departments. However, we need to be cautious and increase our efforts to effectively address poaching activities besides reducing pressures of human developmental projects such as hydel projects, dams, roads, power generation stations etc., on elephant populations and their habitats in some parts of the country. On the other hand, elephants outside Protected Forests are facing elevated challenges in terms of conflicts, changes in the landscape which is reducing/shrinking their natural spaces, crops grown adjacent to elephant habitats, factories/constructions which are coming up in prime movement areas of elephants. There are instances of electrocution, poisoning of elephants due to intense conflicts between people and elephants may pose a severe threat to elephant populations in altered habitats as it would become extremely important to increase tolerance levels of people towards elephants and protecting their property. We should definitely take pro-active steps which involve concerned government departments, local communities, and identifying appropriate mechanisms that would help minimise loss of property due to elephants and increase tolerance levels of people towards elephants. Could you explain how the early warning system works? Use of Television network: Location and tracking of elephants is carried out by a team comprising of indigenous people as a part of Conflict Response Unit (CRU), besides Forest Department field staff and local people. This information on elephant location is displayed as a “crawl” on local cable TV channels after 5 PM on a daily basis to reach out to people as an early elephant intimation system. Currently, the cable channel covers nearly 5,000 families on the Valparai plateau. Bulk SMS service: Bulk SMS service was initiated to send out text messages about elephant presence and their movements within plantations to people who are willing to receive information on their mobiles. On a daily basis, these messages are sent in English and Tamil to people residing within a 2 km radius of the location of the elephant herd. The 2 km radius was chosen based on our long-term research because of the high likelihood (80 per cent) that elephants would move within that distance over a 24-hour period. Our recent analysis of people's response calls to the SMS initiative reveals that this measure has been extremely helpful and serves as a timely alert to the presence of elephants, allowing people to take adequate precautions to avoid direct encounters with elephants and safeguard property. It has also enabled multi-way communication between the conservation group, Rapid Response Teams of the Forest Department, and people by creating a “My Message” attitude among local communities. Installation of elephant alert indicators: Mobile operated LED-light alert indicators were installed in 24 locations to signal the presence of elephants and their movements within a 1km radius of each light. These indicators are equipped with a SIM card and fitted with red flashing LED bulbs on a 10 m long pole and are located in strategic places that are visible from up to 1km away. Each light can be operated from any of three registered mobile phones. At least two persons from every “light locality” are registered with each light and are responsible for activating these lights when information regarding elephants is passed onto them. During the last two years, on an average, after the initial month of installation and training, the local community itself operated the lights 98 per cent of the time. Additional areas are covered with voice-based elephant alert indicators by the Forest Department to widen the network of early warning to local people. Outbound voice dialing service will add as an important communication component to the existing elephant information network. This is a unique way of sending out elephant information over phone calls to mobile phones of people from the database. This service will be initiated for the first time to alert people over voice announcements in advance about elephant presence in their locations. Elephant messages will be recorded as voice/audio MP3 files. These recorded files will be uploaded and repeated announcements will be made in English and local languages along with a dedicated helpline phone number by calling mobile phones of selected residents who live in close quarters of elephant locations. This measure is extremely helpful for people who are unable to read messages on mobile phones. The early warning system has been installed in six buses of the Tamil Nadu State Transport Corporation (TNSTC). These buses will ply on six routes covering about 70 per cent of the Valparai region. Each unit comprises of three components. Announcements about elephant locations will be broadcasted on a daily basis after 4 pm. These systems would help people who do not own a mobile phone to receive alerts or voice calls and also to school children who return home later in the evening after special classes during late evenings. The control unit being the Android mobile phone has been programmed to function from 12 volts to 24 volts of input power from an automobile such as a car or a larger vehicle such as buses. The size of the control unit will be approximately 8 X 4 inches. The bus broadcaster application specially designed for this purpose has software with over 250 elephant locations pre–loaded into it with serial numbers corresponding to them. The locations have been carefully chosen based on a ten–year scientific understanding of elephant movement on the Valparai plateau. A SIM card is used in the mobile phone to establish connectivity with the field station. Based on information from the Tamil Nadu Forest Department field staff and the conflict response team, the appropriate serial number is activated in the bus traveling on the designated route through an SMS from the field station. This will trigger the appropriate voice message and ends with the contact number for travelers to contact for further help. The software has been programmed in such a way that information of elephants in many locations can be played in series for situations when elephants are in more than one location. The announcement can be controlled for repetition if necessary and new locations can be upgraded wirelessly. The voice message is triggered as soon as the mobile phone in the device receives the SMS. This would help commuters to know about elephant presence in their respective resident localities. The amplifier facilitates the voice to be played in all the two speakers placed in the front and rear end of the bus with a volume control switch easily accessible to the person sitting close to it. A total of two speakers are required for each announcement device for passengers to hear the message being played. Other measures such as Rapid Response Teams and helpline from the Tamil Nadu Forest Department have been critical in reaching out to elephant locations and safeguarding people and property. With increasing man-elephant conflict, what do you think is the best solution to mitigate it? There are no readymade solutions for human-elephant conflict. Resolving conflicts between people and elephants would require understanding human-elephant relationships, identifying and designing suitable measures, and involvement of local people and government departments which are crucial to see desired results. Each location is unique in its situation. We need to carefully pay attention as solutions lie in places and not with people. How does your elephant-warning system aid in conservation? Early warning systems help people to avoid accidental encounters with elephants, help them in planning outdoor activities, and also create sharing responsibilities in effectively reducing conflicts between people and elephants. These measures have been well-regarded and increased tolerance levels of people towards elephants. However, these measures alone will not assure 100 per cent safety to people if they ignore early warning messages. It would also require people's active participation. These collective efforts by all sections of society make it possible that there are "no problem elephants" but there are problem locations which would require a different approach to resolve conflicts and conservation of elephants in altered landscapes. How did your team come up with the idea for an elephant early warning system? Our long term study on elephants in the Valparai region revealed that most people who lost their lives, did so mainly due to lack of early intimation/awareness about elephant locations and their movements through plantations. We wanted to establish systems that were simple, adaptive, easily understandable for people, and sustainable in nature. We wanted to take our scientific research results a step forward to people by sharing the results and discussions with stakeholders including government departments in arriving at feasible measures that would be helpful and promote coexistence between people and elephants in the Valparai region. Most of the measures that have been implemented have come from the experiences of people and their opinions during initial interactions with them. We want to find out ways that would match the needs and requirements of elephants and people coupled with involvement of the Tamil Nadu Forest Department. I sincerely thank the pro-active steps taken by the Tamil Nadu Forest Department officials and the management of plantation companies in facilitating human-elephant coexistence in the Valparai region. The point we want to get across from our study is that collective efforts with positive mindset would beneficial to elephants and people.